A heating pad can provide relief for a wide range of painful conditions, and since it doesn’t involve taking pharmaceutical medications, it’s a popular choice for many consumers. The heat from a high-quality product can soothe back pain, neck pain and menstrual cramps. Countless studies have shown the effectiveness of heat therapy, and it can be effective for several painful conditions. Modern heating pads consist of a metal coil, and to produce healing heat, they pass electricity through the coil. Protective layers of material significantly reduce the risk of fire, and if you’re looking for an affordable, effective and simple solution to unwanted pain, it might be time to purchase a heating pad. When shopping for the best heating pad, you’ll find hundreds of products to choose from, and to find the best product for your needs, you must know what to look for. 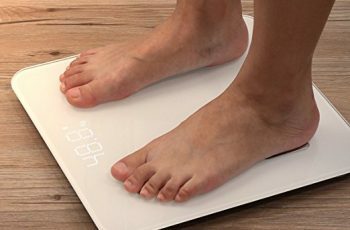 First, it’s important to find out exactly where your pain is coming from, and once you know the exact location, you can look for a heating pad that will fit over the area. Some people make the mistake of purchasing a pad that isn’t the right shape for the target area, and it ends up being too large or small. Most modern heating pads are electric, but there are some products that must be placed in a microwave. A basic electric pad consists of a heating element, which is wrapped inside of fabric. Some people have problems with these products because they produce dry heat, and the abundance of heat can irritate skin that is already dry. There is also the risk of getting burned, but most problems are caused by incorrect usage of the heating pad. 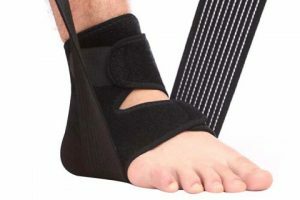 A lot of people experience pain in an awkward area, and if this describes your situation, you might want to consider getting a heating pad that comes with a strap, which makes it easy to attach the pad to a knee or similar area. Many products allow you to adjust the settings, and you can choose the perfect level of heat. Some people have very sensitive skin, and they can only tolerate a certain level of heat. If the product doesn’t allow you to adjust the settings, then you might get stuck with too much heat, which would make the product almost useless. The best heating pads have built-in safety features, and they’ll automatically shut off after a certain amount of time. Everyone makes the occasional mistake, and if you accidently leave the heating pad on, built-in safety features have the potential to save your home and life. Although many electric heating pads are designed to treat pain with dry heat, there are also some options for moist heat, which can be very beneficial for people who have dry skin. Another advantage of moist heat is that it can penetrate deeper into your body and provide relief for deep aches and pains. Below, you’ll find reviews for 10 of the best heating pads available. 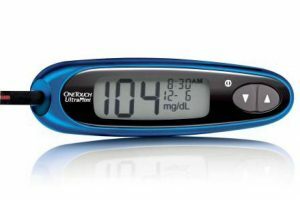 The Sunbeam 938-511 features an extra-large size, and it can treat large areas of the body. With the extra coverage, it can send relaxing heat into large muscle groups and joints, and it offers four personalized heat settings. Some other products only offer a single heat setting, and it’s almost impossible to customize your heat therapy with a single setting. For deeper, penetrating relief, the Sunbeam 938-511 can produce moist heat, and the entire pad can be washed in a standard washer. This product is designed with a micro-plush cover, and the plush provides superior comfort. The other side of the cover is made of SoftTouch material, which helps the pad produce more heat. 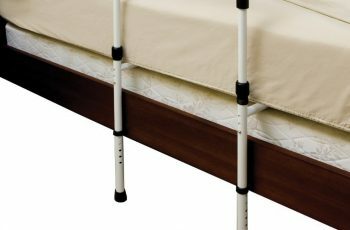 The Sunbeam 938-511 maintains a consistent level of heat, and it can provide relief for arthritic pain and sore muscles. The Sunbeam 756-500 is like other products sold by Sunbeam, but there are some key differences. This heating pad uses UltraHeat technology to achieve high temperatures, and for maximum relief, it’s designed with technology that maintains a consistent level of heat. The Sunbeam 756-500 is easy to wash because the cover can be cleaned in a standard washer. 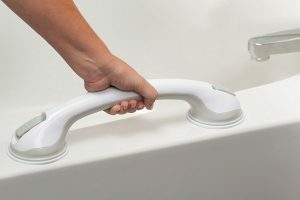 An LED controller makes this product easy to control, and it’s a popular choice for people who suffer with arthritis and painful conditions. 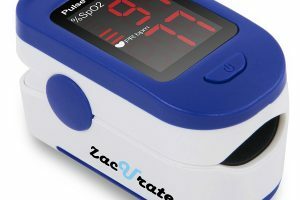 It offers three different levels of heat, which is effective for targeting pain with precise heating. The power cord has a length of nine feet, and it’s flexible enough to be used in most positions. The PureRelief heating pad features a contoured design, and it’s made to cover your neck and shoulders. It’s made with ultra-soft micro mink material, and the fibers are much more comfortable than what you’d get from alternative materials. This heating pad is made for daily use, and it takes seconds to generate soothing heat. Some people prefer moist heat, and the PureRelief heating pad can deliver moisty and dry heat. With a contoured design, this product drapes over your shoulders and sends precise heat into painful areas. It also has a built-in safety feature, which causes it to shut off after it has been on for two hours. 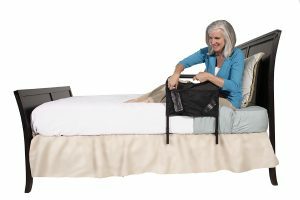 The PureRelief heating pad offers four different heat settings, and the power cord has a length of nine feet. 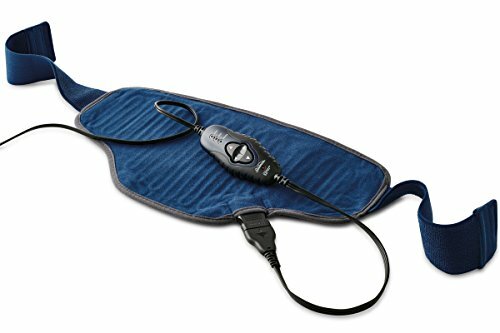 The Milliard electric therapy heating pad is great for small areas, and it can be effective for treating several different areas of the body. The instant heat generated by this product increases blood flow to sore muscles, and it can help you relax and enjoy faster healing. With three different heat settings, there is an ideal setting for most people, and since the pad is made with vinyl, it will conform to your body and enhance the effects of the heat. The Milliard heating pad features a plush Velour cover, which is soft to the touch and can be washed in a standard washer. The control pad is easy to use, and the heat settings can be changed within seconds. Another popular product is the Sunbeam 731-500, and for moist heat therapy, it comes with an absorbent sponge. 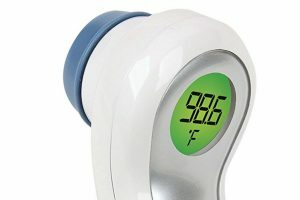 A slide controller makes this heating pad ideal for people who have arthritis, and the large switch is easy to control. The soft cover can be washed in a machine, and it’s made from comfortable materials. Like other products from the same company, the Sunbeam 731-500 is designed to provide targeted relief, and heat is a natural way to soothe painful muscles and joints. 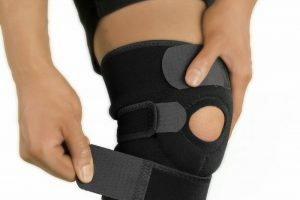 The heat from this product can provide relief from muscle stiffness, joint pain, cramps and inflamed muscles. 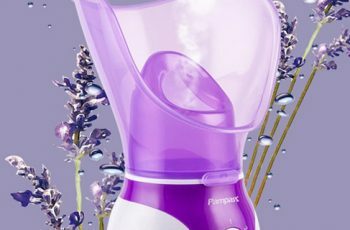 By increasing blood flow to these areas, the Sunbeam 731-500 helps painful conditions heal faster. This is one of the only heating pads that’s shaped like a body, and with flexible Velcro straps, it can be extended up to 70 inches. The Sunbeam heating pad can fit comfortably around painful areas, and the soft fabric can be washed in a standard washing machine. For convenience, the power cord has a length of nine inches, and the entire pad is designed to stay in place. The adjustable Velcro closure can wrap around your body, and it delivers a snug, comfortable fit. If you’re looking for a way to alleviate pain while on the go, this product comes with a removeable gel pack, and it’s made to be a complete solution for sore muscles and back pain. Electric heating pads are popular products, but they’re not the best choice for everyone. In many cases, it might make more sense to use a microwaveable heating pad. The Home Comfort heating pad must be placed in a microwave, and once it’s finished heating up, it can be placed on sore muscles or joints. This product is made with flannel material, and the interior is filled with rice. It’s an excellent choice for cold nights, and it can help with muscle injuries, traveling, arthritis, menstrual pain or headaches. Although it’s commonly used for heat, the Home Comfort microwaveable heating pad can also be used as a cooling pad, and to make it cold, you must place it inside of your freezer. 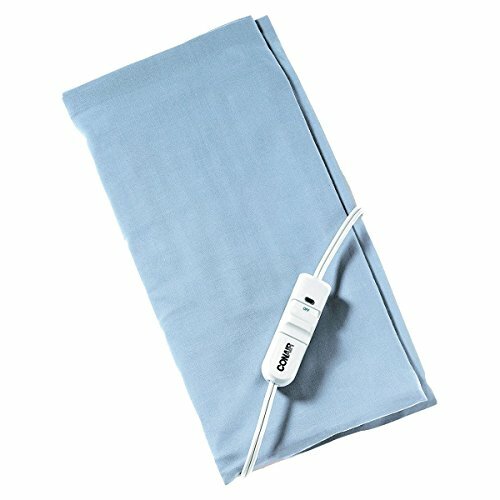 The Conair heating pad is capable of providing moist heat, and it’s made from cotton material. For minor aches and pains, this product delivers effective heat therapy, and the cloth cover can be washed in a standard washing machine. 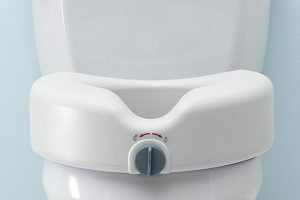 The slide switch is easy to use, and an absorbent sponge has been added to provide moist heat. If you’re looking for relief from sore muscles and joints, you might want to consider this product. 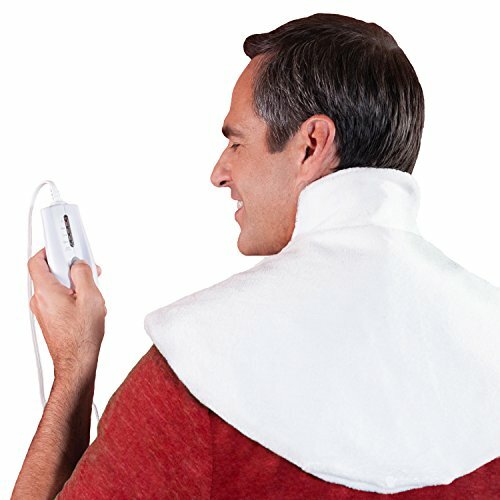 The Dr. Bob’s heating pad is designed by a doctor, and its purpose is to provide relief for neck, back and muscle pain. 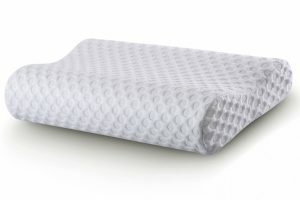 The plush cover offers a snug fit, and the plush surface is comfortable and washable. If you prefer moist heat, you can spray a thin layer of water onto the surface of the cover. The Dr. Bob’s heating pad is easy to use, and with a built-in safety feature, it will automatically turn off after it has been on for two hours. The long power cord has a length of nine feet, and this product is UL approved. 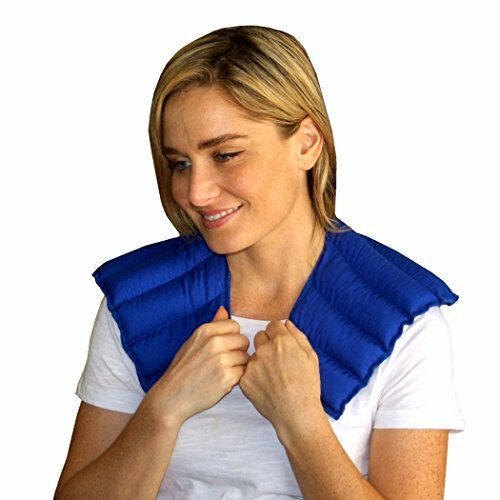 My Heating Pad makes a popular product, and you can use this heating pad for your shoulders, upper back and neck. Since the pad is designed by a chiropractor, it conforms to your upper body, and to distribute heat evenly, it’s made with seven channels. 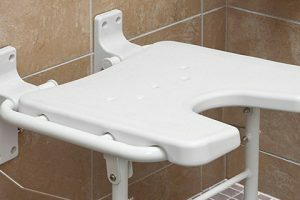 It has a total weight of three pounds, and it’s just heavy enough to put pressure on sore joints and muscles. One side of the pad is made of soft fleece, and the other is made of cotton fabric.